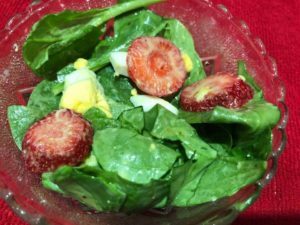 I fixed salad with strawberries for the first time last summer. This spring I was helping a niece and she served this salad with a homemade dressing. 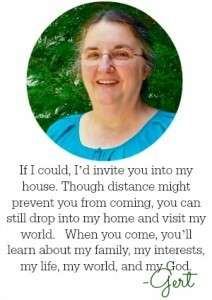 Of course I had to get the recipe, which came from my sister Alice. 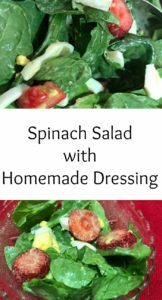 While this dressing does has sugar in it, you will only need a tablespoon or two for a large bowl, so you’re not consuming an excessive amount of sugar. What I like about this salad is that it has plenty of iron, protein, and vitamins and minerals in it. 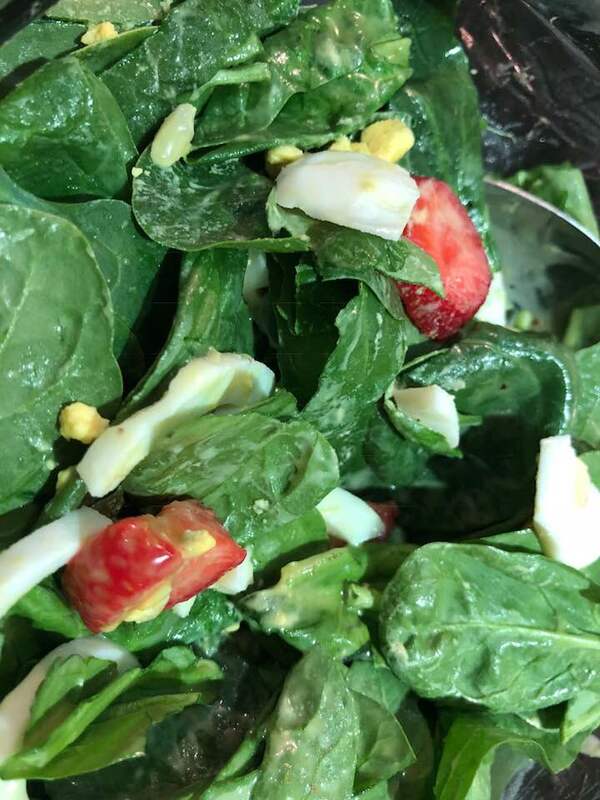 The spinach helps give you roughage; the hard boiled eggs provide protein, and the strawberries add vitamins to your diet. It’s colorful and tasty as well. The strawberries give it a definite twist – and it’s a good twist! 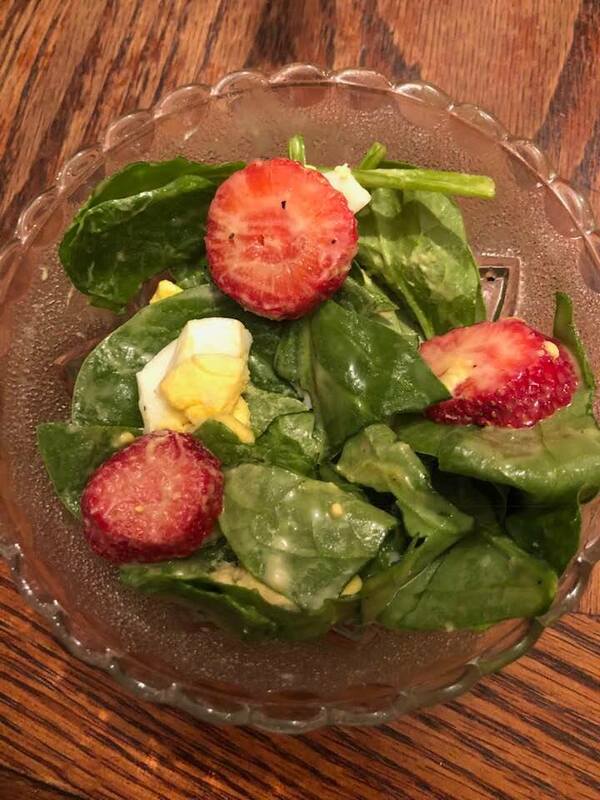 Put spinach and sliced hard-boiled eggs into a bowl, then add sliced strawberries. Drizzle the dressing on top; remember that as it sits, the dressing will soak down through all the layers of salad. In this case, less is more! A sweet-sour dressing that spruces up any salad. Easy to mix, easy to store, easy to serve. Put all ingredients into a blender and blend completely.